Private holiday rentals will be restricted in many popular tourist areas in favour of the hotel industry, if a new draft law is passed. The Association of Holiday Rental Mangers in Madrid (Asotur) warns that a new law on residential rentals being drafted by the Department of Housing (in the Ministry of Public Works) will restrict the rights of private owners to engage in holiday-lettings, limit the choice of tourists, and harm the Spanish economy. 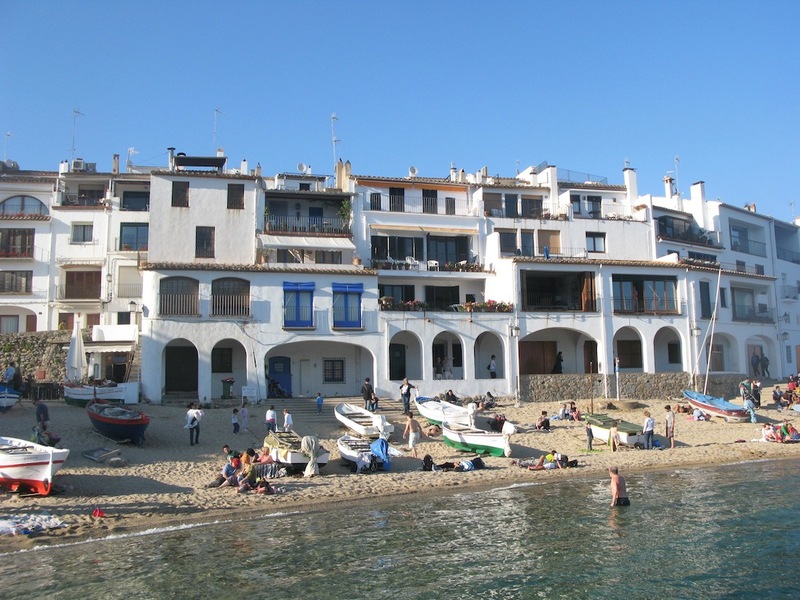 The draft law plans to devolve the regulation of all residential rentals to Spain’s 17 regional governments, some of which aim to restrict private tourist rentals in favour of the local hotel industry. In some areas there are no local laws on tourist rentals, meaning as many as 20,000 holiday rentals will take place in a legal vacuum if the law goes ahead, they warn. Tourist rentals generate 1.45 billion Euros in direct income, half a billion in indirect income, and are a source of income for at least 150,000 families, according to research by Magma Tri Hospitality Consulting. “The passing of this law could deal a death blow to a growing sector that contributes enormously to the economy,” says David Tornos, president of the tourist rental management association. It’s like the Spanish Government is actually run by the Greeks or the Italians. Everything seems planned to kill off the property market and tourism and send people off to Italy or Greece. It does seem strange and possible counterproductive to the Law that requires an Energy Performance Certificate for rentals. Perhaps this is also an infringement of European Convention on Human Rights in regard to discrimination, for example. This is becoming surrealistic! I’m beginning to regret my recent purchase! Just what are these restrictions? There is no mention of the details in this article. The restrictions will come from local laws and will vary from place to place. In other words, a total mess. Up until now, at least there was a national law that protected the rights of owners to rent out their properties, including to tourists. That is what is now under threat. No doubt there are many who use the short term rentals as a way to defray the cost of a mortgage or property maintenance costs. They will be hurt by this and hopefully let their politicians know about their feelings. However human ingenuity will always find a way, legally, to avoid these bureaucratic regulations. The machinations of the Spanish political class never cease to amaze me: this looks like a way of striking hard at a form of tourism which helps support thousands of small bars, restaurants etc far more than the big all inclusive hotels. And at a time when any sensible government would be doing everything possible to reduce the vast unsold property “bubble”! I’m also wondering how they’ll implement it. Are they going to send a police officer around to turf out tourists? And I agree with David’s comment: the all-inclusive hotels are very detrimental to local bars and restaurants compared to self-catering rentals. Also, in little villages there are no hotels, but sometimes are rental houses in the villages and the campo, and these tourists are essential to these rural economies. We work with for the last year managing over 50 properties in the Nerja region. The crazy thing is I have friends who are hotel owners in Nerja and they have never been busier, they are completely booked up, so imagine over 2000 home owners who rent out villas and apartments as well the hotel owners cant cope with the demand as it stands!!! What the government tends to forget is that you imagine 2000 home owners in just our town with an average of 4 to 6 people staying there on a weekly basis that is 8,000 to 12,000 people on a weekly basis spending money in bars, shops, restaurants providing jobs income. Spain is holding on with a single thread at the moment and they seriously need to think that tourism is all they have at the moment so the government that are siding with hotel owners at the moment need to have a long think hard about what is the best way forward for the economy. Is this in line with EU rules? Is it possible for one country to make rules which conflicts with the private ownership of a property? This new legislation needs to be fought. Surely someone should set up an internet site to collect opinions. This would attract thousands of comments which should then be passed on. We all need to take a pro active role. Someone get the ball rolling before the self destruct button goes off, for hundreds of thousands, directly, and indirectly, linked with holiday lets. playing devils advocate here, the purpose of the new laws is not to crush tourism but to fund local government. Perhaps some local governments will make it even easier to rent out the properties, introduce new lower rates of taxation and finally get a handle on registering all rental properties. With the Regional Governments broke, there is no incentive to kill the goose. Only hoteliers will gain from that and not all Regional Governments are in the pocket of the hotel industry. I would wait and see be making a final decision. And what about the annual tax we pay to the government for ‘implied’ rentals .. on my apartment I pay close on 1800 euros per year because they say I will rent it out. Will this tax be removed if we can no longer rent out our holiday homes???????????? This contravenes EU law so i doubt will happen in reality. It will also hit public finances as most tourists come to Spain to rent their own property and if that was not allowed they would simply go to Greece or France. There is a large contingent that simply would never consider a Spanish hotel, as frankly the average Spanish hotel is terrible. It would be far more productive for Spain to free up competition and force the hotels to upgrade their hotels, creating employment, and boosting tourism as a result. What they propose is counter productive and I can only assume the hotel association have lobbied and paid lots of money to push this along as it benefits a tiny minority of largely foreign owned hotel groups to the detriment of a large number of Spanish citizens.